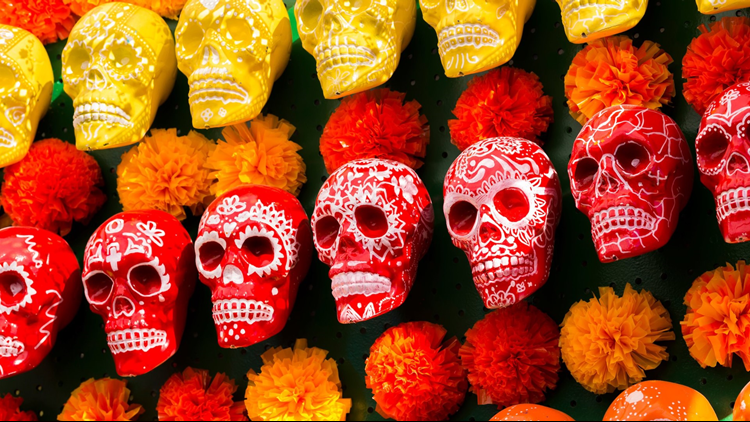 This weekend Colorado celebrates Día de los Muertos, Fort Collins flips the switch for the holidays, Colorado Springs honors our veterans & the Denver Broncos look to save their season. KUSA — Colorado is known for terrific festivals, concerts, sporting events and the arts. Celebrate the season this weekend by experiencing the unique culture, food and geography that makes our state so special. The Colorado Springs Veterans' Day Parade will step off a week early at 10 a.m. Saturday. The parade, which has been a Colorado Springs tradition since 2000, starts at Tejon and Boulder and ends at Tejon and Vermijo in Downtown Colorado Springs. The parade's mission: "To honor all veterans and to educate and inspire community awareness while paying tribute to the service and sacrifices all veterans have endured in the pursuit of freedom." This year's parade also marks 100 years since the World War I Armistice. Halloween is over; now what to with your jack o' lantern? Bring it to Idaho Springs to be smashed! Scraps-to-Soil holds the Pumpkin SMASH to explore composting and ways to contribute less to the waste stream. The festival uses such techniques as mallets, baseball bats, launchers and slingshots. 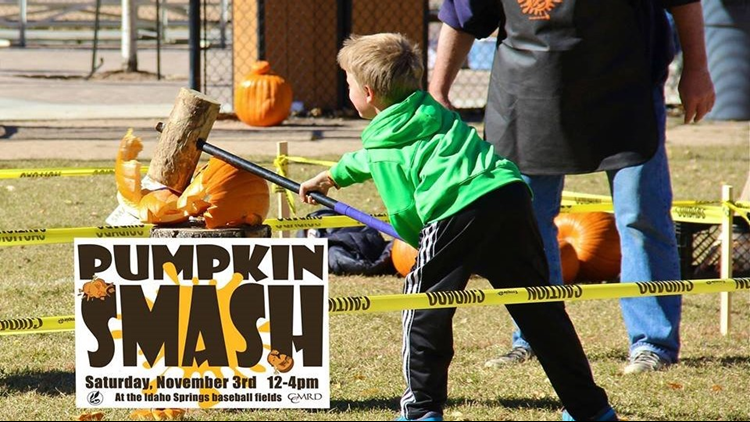 This year's 10th annual Pumpkin Smash on Saturday is free to attend and all ages are welcome. The event will also have food vendors, beer and root beer, informational booths, pumpkin piñata, pumpkin bowling, an obstacle course, bounce house, bingo, face painting and more. 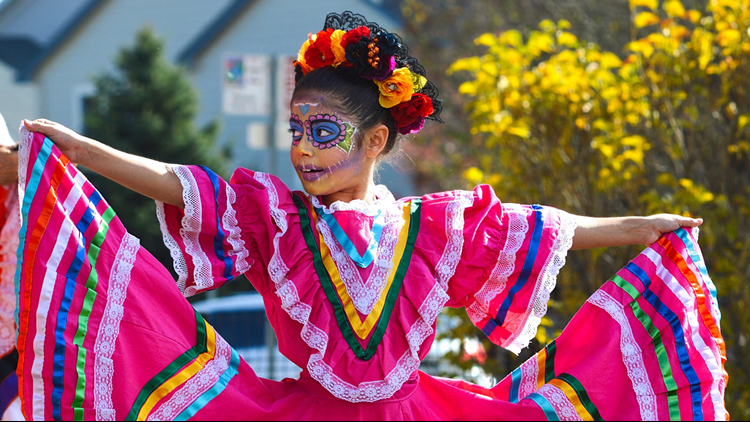 Longmont’s annual Día de los Muertos celebration is the largest Day of the Dead celebration in Colorado and Longmont Museum's signature event. 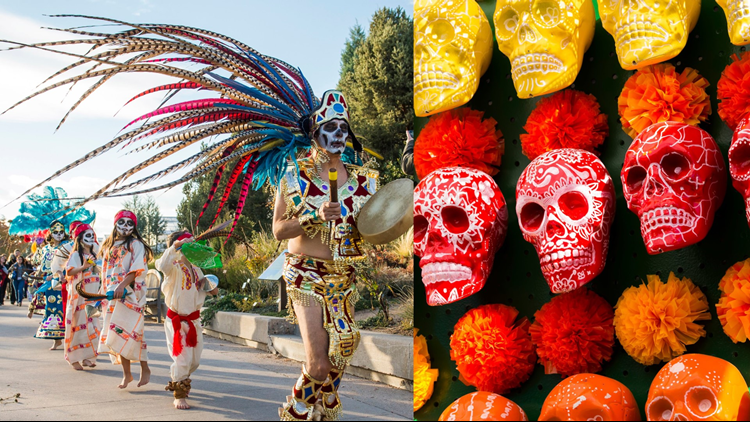 The museum's family celebration on Saturday offers live music, dancing, sugar skull decorating, traditional food, community altars, paper flower making, face painting and more. Guests are encouraged to come dressed in their best skeleton apparel. The Day of the Dead Celebration runs from 11 a.m. to 3 p.m. Saturday, rain or shine. Denver Botanic Gardens will hold its Día de los Muertos celebration from 9 a.m. to 4 p.m. Saturday. 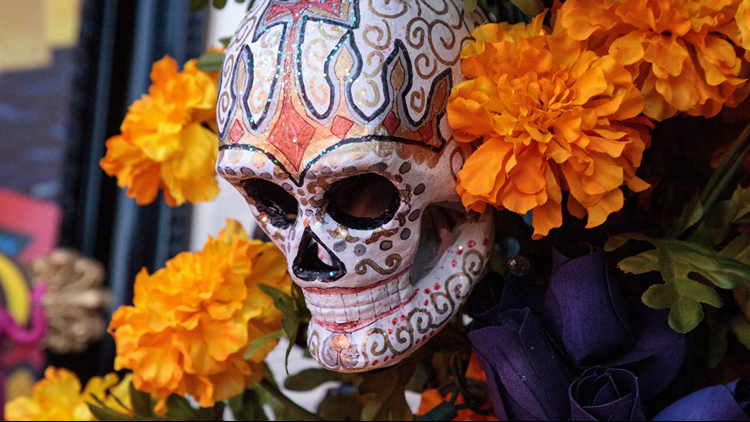 Day of the Dead commemorates life after death by honoring ancestors and family members who have passed. Attendees will be able to leave offerings, or ofrendas, of food, gifts, flowers and a photo of their dearly departed at a community altar. There will also be a photo booth, face painting, children's craft activities and appearances by Denver Broncos cheerleaders and Miles the Mascot. 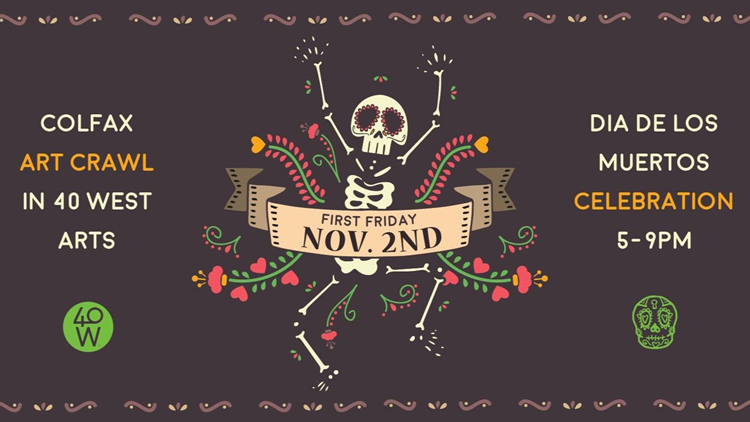 Denver's 40 West Arts District's First Friday theme is Día de los Muertos on Friday from 5 to 9 p.m. The district's galleries, studios and creative businesses will be open to the public with multiple exhibits inspired by the celebration including altars and works by local students. Aztec dancers in traditional costume will be on hand, as well as fire artists and kid-friendly piñatas, face painting, live music, food trucks and local vendors. 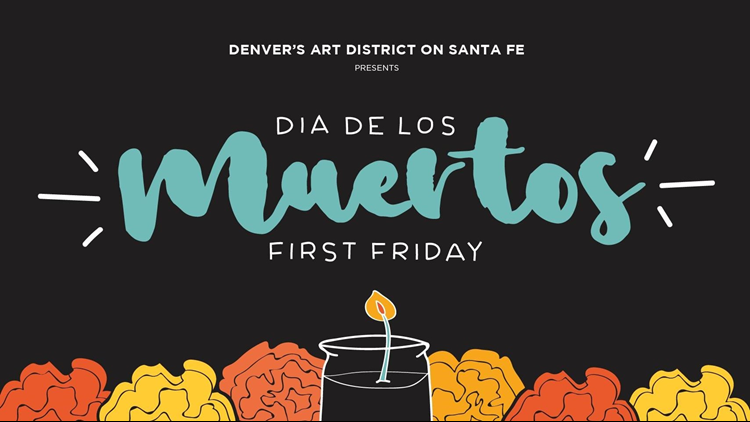 Denver's Art District on Santa Fe, Museo de las Americas and the Consulate General of Mexico are hosting the inaugural Día de los Muertos Celebration and Parade on Friday starting at 4 p.m. Face decoration stations will be set up throughout the Art District and Day of the Dead attire is encouraged for the procession that starts at 7 p.m.
Carbondale Arts' annual celebration of Día de los Muertos starts at 5 p.m. Friday at the Third Street Center. Festivities include altar viewing, face painting, Mexican hot chocolate and traditional treats. An Afro-Latin dance performance and "Que Viva" will be held before a procession at 6:30 p.m. Afterwards, Aspen Santa Fe Ballet Folklorico will hold two performances at the Thunder River Theatre Company and Dance of the Sacred Fire will perform a fire and aerial silk routine at 4th and Main. All Día de los Muertos festivities are free and open to to the public. 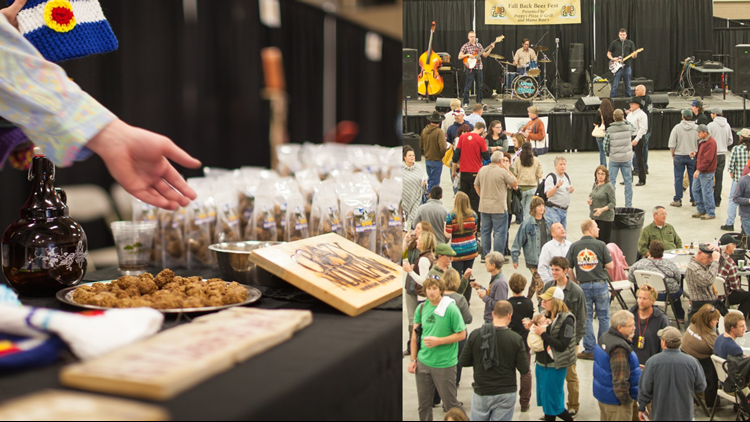 Many of the finest Colorado craft breweries and beer industry experts are in Estes Park this weekend for the 6th Annual Fall Back Beer Fest. The festival will have delicious brews, live demos and information on homebrewing - just in time for National Learn to Homebrew Day. The Fall Back Beer Fest will held from 1 to 5 p.m. Saturday at the Estes Park Events Complex. Tickets are available online. 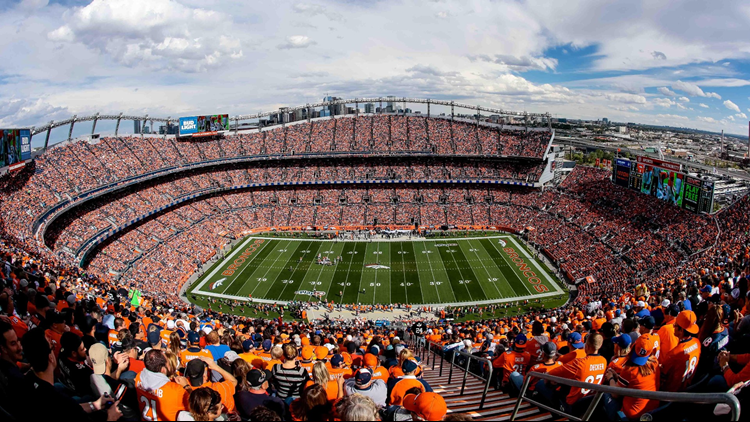 The Denver Broncos are a 3-5 football team, but they can right the ship on Sunday at Broncos Stadium at Mile High. Case Keenum, Von Miller and the Broncos host Deshaun Watson, J.J. Watt and the 5-3 Houston Texans at 2:05 p.m. If you're looking to get into the game, tickets are available for resale at Ticketmaster.com. 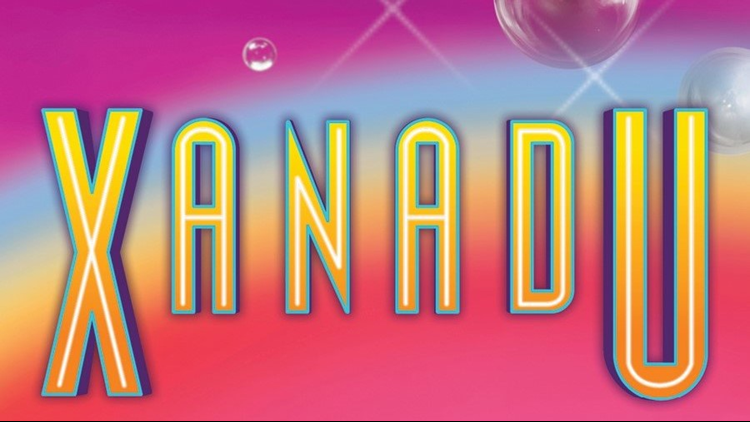 Xanadu is the newest production at the Garner Galleria Theatre at the Denver Center for the Performing Arts. The musical follows a beautiful Greek muse who descends from the heavens of Mount Olympus to Venice Beach, California, in 1980. Based on the cult classic movie, Xanadu is as funny as it is inspiring. The musical comedy opens Saturday and plays through April 2019. Tickets are sold at DenverCenter.org. 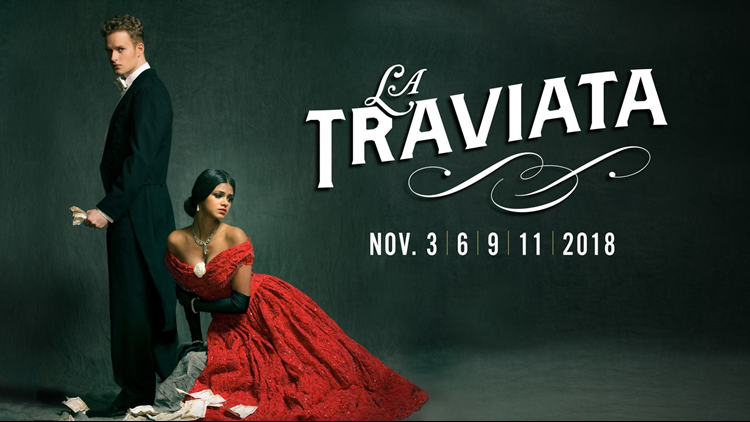 Opera Colorado opens its season Saturday with an "opulent" production of Verdi’s La Traviata. The Romantic masterpiece, which features the instantly-recognizable brindisi, is considered to be one of the best operatic works of all time. The production opens Saturday at at the Ellie Caulkins Opera House with more performances scheduled for November 6, 9 and 11. For tickets, visit OperaColorado.org. Alpaca lovers, rejoice! 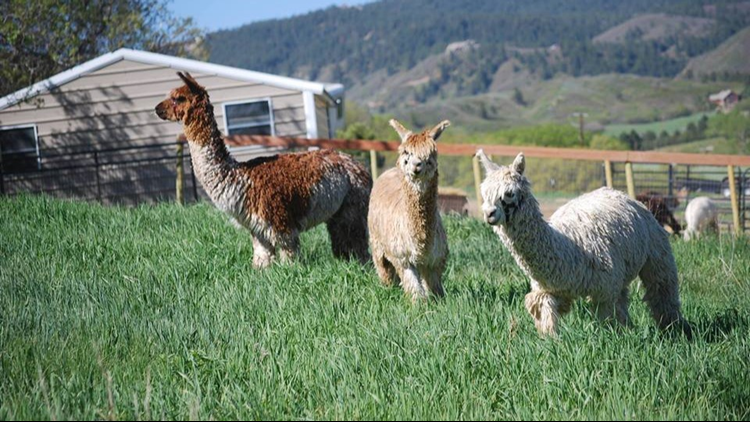 The 22nd Annual Alpaca Breeders of the Rockies Fall Festival runs Saturday and Sunday at the The Ranch Events Complex in Loveland. The full fleece and halter show is free and open to the public. Breakin' Convention is a awe-inspiring weekend of performances from world champion b-boy crews to cutting edge street dance companies – live on stage at the Buell Theatre. This weekend's lineup features world champion bboy crew The Ruggeds, hip hop dance group BirdGang Dance Company, a solo from French dancer Antoinette Gomis, a comedic duet from Sample Culture and popping trio Femme Fatale. Breakin' Convention takes place Saturday and Sunday with tickets available through DenverCenter.org. 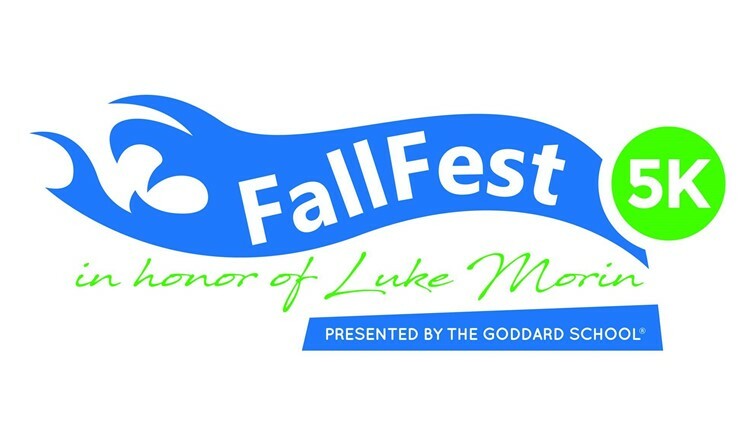 The inaugural Fall Fest 5K is a BolderBoulder qualifying walk/race in memory of Luke Wyatt Morin. Luke was just months away from kindergarten when he lost his battle with DIPG, a rare and highly aggressive pediatric brain tumor. All proceeds from Sunday's race will go to Children’s Hospital Colorado, which is dedicated to advancing treatments and cures for DIPG. 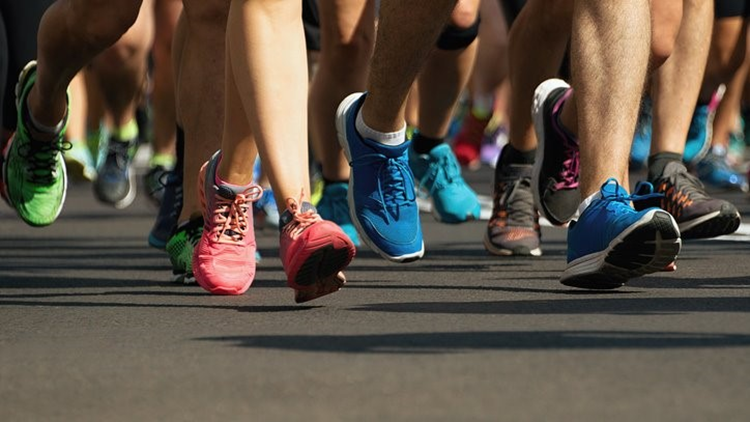 Fall Fest 5K starts at 9 a.m. Sunday at Stapleton's Central Park with on-site registration opening at 7:30 a.m. Donation and registration information is available online. 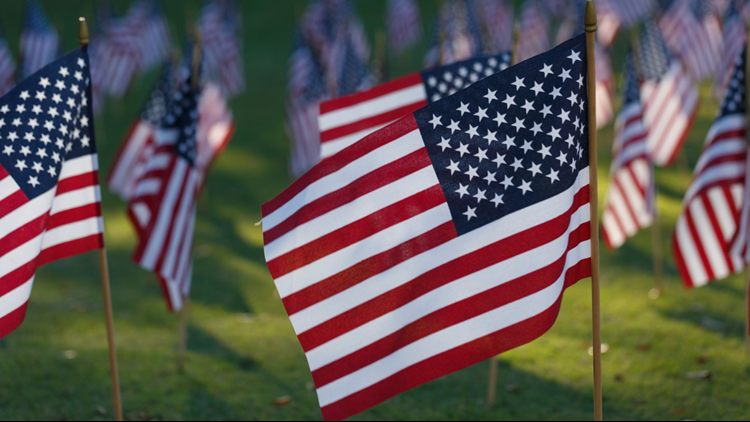 The annual Colorado State University Veterans' Day 5K is a fundraiser for the CSU Veterans Scholarship Fund. The race also honors a fallen member of the armed forces who had a personal connection to CSU. This year's race is set for Saturday at CSU with a route that circles the main campus. CSU alumni, veterans, children running and in strollers, experienced runners, and everyone in between are welcome to attend the run. Race registration can be completed online. 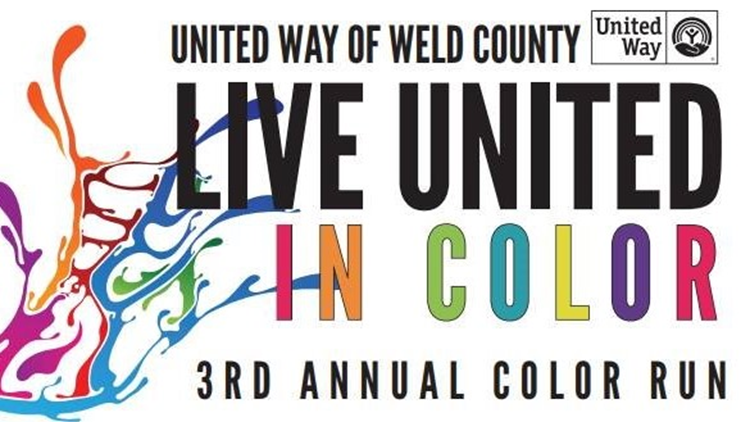 Greeley's Twin Rivers Community Park is the site of the 3rd Annual Live United 5K Color Run on Saturday. The event is a fundraiser for the United Way of Weld County's Youth Leadership Council. The first 200 to register are guaranteed a t-shirt, bag, sunglasses and more. Race registration is available online. Saturday's Freedom 5K, hosted by UNC Veteran Services, is a 3.1-mile obstacle course designed for participants of all levels and abilities. 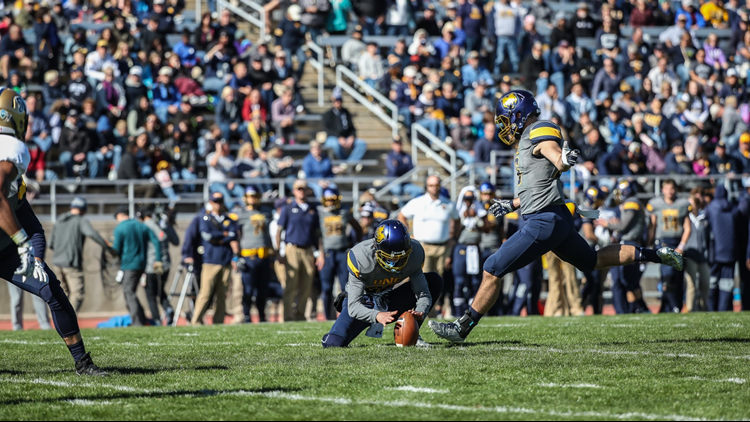 The event starts at 9 a.m. at Roudebusch Cottage on the University of Northern Colorado's Central Campus and ends at the UNC Bears Pepsi Fan Fest Tailgate Area before the Bears hold their final home football game of the season. Runners, walkers, strollers, children and four-legged friends are invited to participate. Proceeds benefit the UNC Veterans Scholarship. Freedom 5K registration can be completed online. 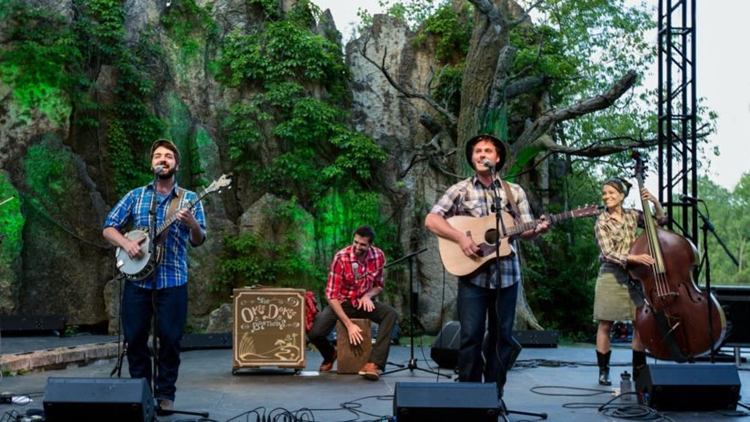 Grammy-winning bluegrass and children's music duo The Okee Dokee Brothers are holding an album release show this Sunday in Denver. The band headlines a show at the June Swaner Gates Concert Hall at the Newman Center at the University of Denver. The Okee Dokee Brothers are donating a portion of ticket proceeds for this performance to climate advocacy group Protect Our Winters. Tickets are about to sell out at NewmanCenterPresents.com. 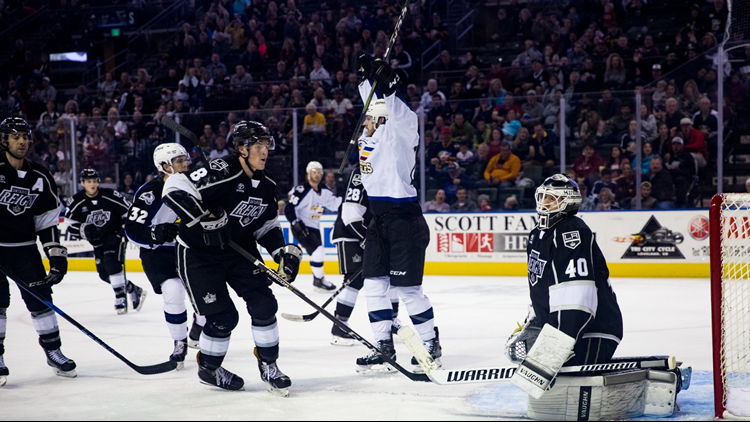 The Colorado Eagles, the new AHL affiliate of the Avalanche, are back in action on Friday and Sunday in Loveland. The ECHL Champion Eagles host the Tuscon Roadrunners at 7:05 p.m. on back-to-back nights at Budweiser Events Center. Avoid the lines and get your tickets now at ColoradoEagles.com or 970-686-SHOT. 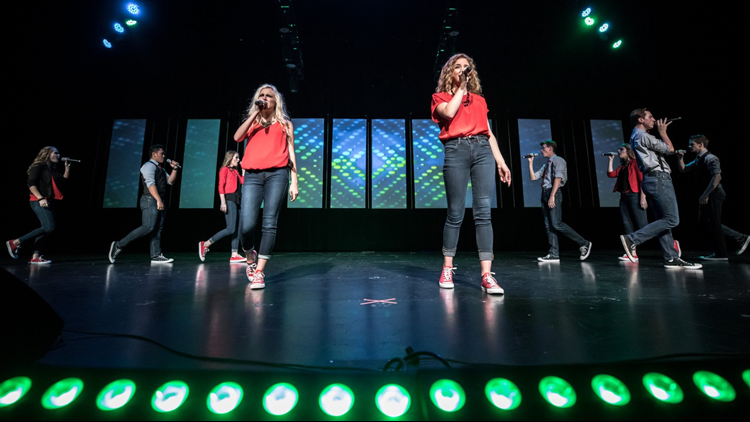 Aca on the Mountain, a one day non-competitive A Cappella Festival for high school and collegiate groups and individuals, takes place Saturday at Cheyenne Mountain High School. The festival begins at 8 a.m. with tickets available at the school entrance. This year's headliner, Collide Vocals, takes the stage at 6 p.m. To see the complete festival lineup, visit AcaontheMountain.com. 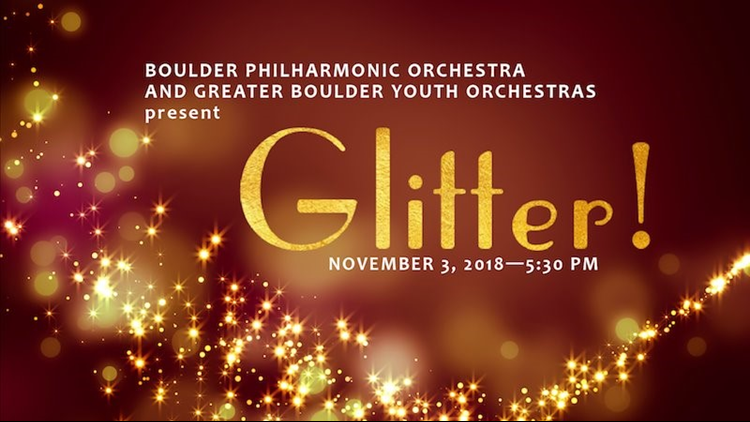 The Boulder Philharmonic Orchestra and Greater Boulder Youth Orchestras present the Glitter! Gala this Saturday. A hangar at the Rocky Mountain Metro Airport will be transformed into an elegant setting with instrumental and operatic performances to raise funds for performance education in Boulder. The Gala features special guest Midori and Rose Sawvel. Check out GreaterBoulderYO.org for tickets. 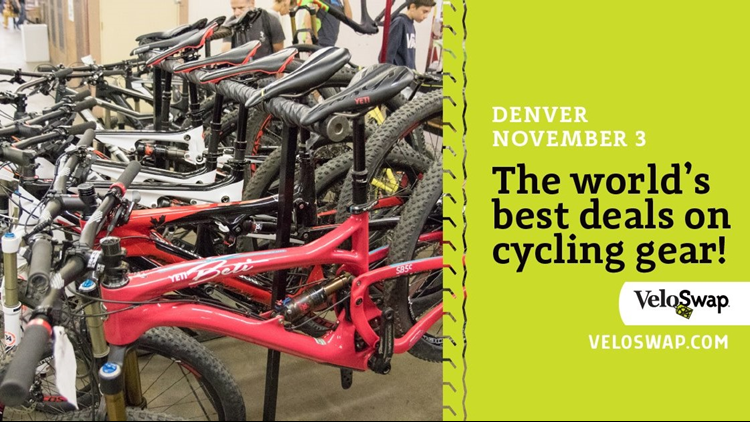 Taking up more than 140,000 square feet of the National Western Complex, VeloSwap is the world's largest single-day consumer bike expo and swap. Over 600 vendors will be selling bikes, parts, clothing and accessories at the VeloSwap on Saturday from 9 a.m. to 4 p.m. Get your ticket online and get in early to get some of the great season-ending flush-out inventory deals. 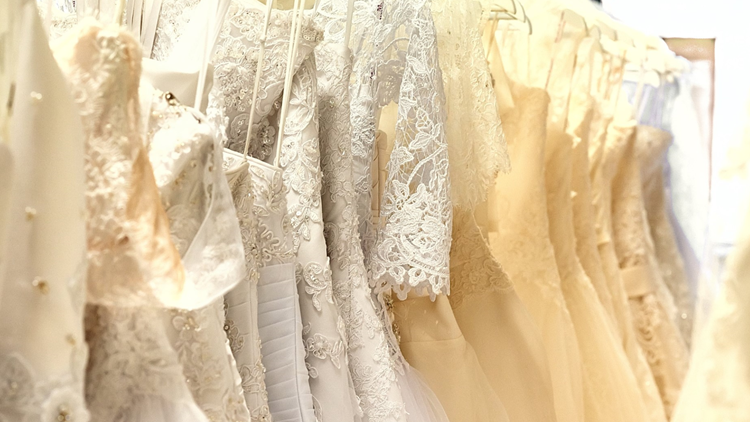 For those about to wed, the Great Bridal Expo is an opportunity to meet face-to-face with national and local wedding experts for advice and services in dresses, floral, honeymoon and everything in between. The show also features a bridal fashion show, giveaways, prizes, live orchestra and DJ presentations, a honeymoon show and dozens of informative exhibits. The expo takes place Sunday at the Hyatt Regency Denver Tech Center. Tickets can be found online. 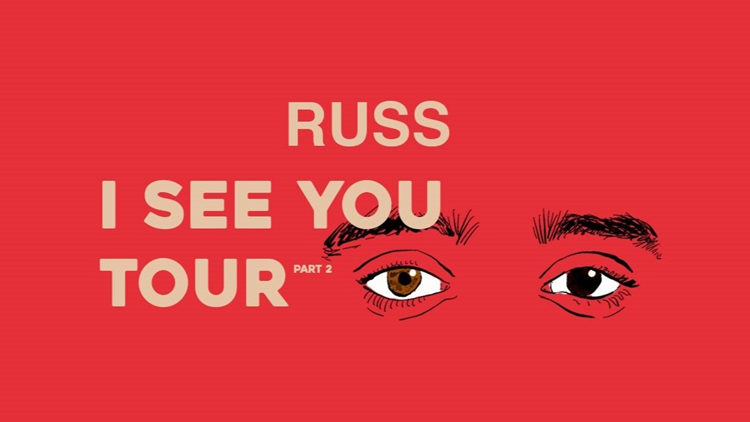 Rapper and singer Russ is bringing his I See You Tour Part 2 to Denver this weekend. Russ will take the stage at Pepsi Center at 9 p.m. Friday. Tickets are sold at AltitudeTickets.com. 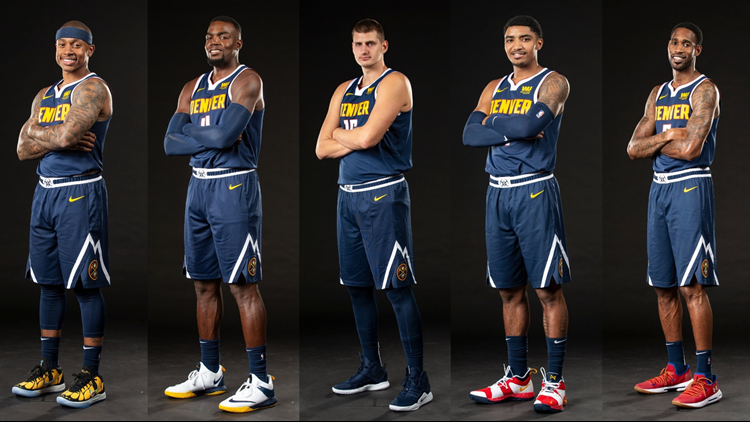 The red-hot Denver Nuggets welcome the Utah Jazz to Pepsi Center on Saturday. Tip-off is set for 7 p.m. Regular, Family Night and Star Wars Night tickets can be found at AltitudeTickets.com. Northern Colorado will play one final game at Nottingham Field this season when the Bears welcome Eastern Washington on Saturday. Kickoff in Greeley is set for high noon. UNC tickets can be purchased at the stadium box office or at UNCBears.com. 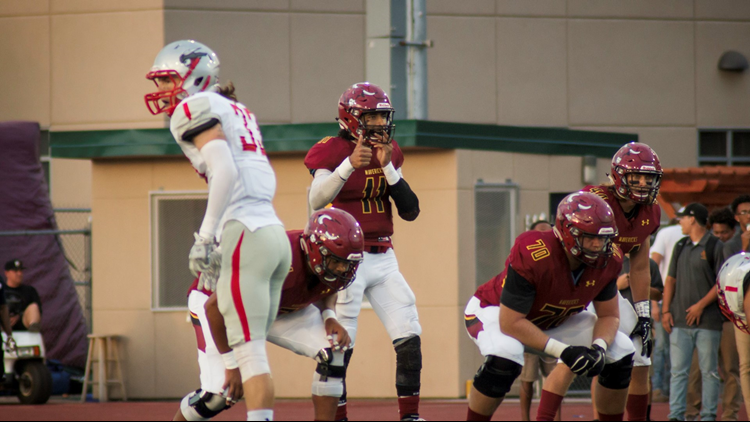 The final home game of the season for Colorado Mesa is Saturday night in Grand Junction. The Mavericks host the Adams State Grizzlies at 7 p.m. at Stocker Stadium. CMUMavericks.com is the place for game tickets. 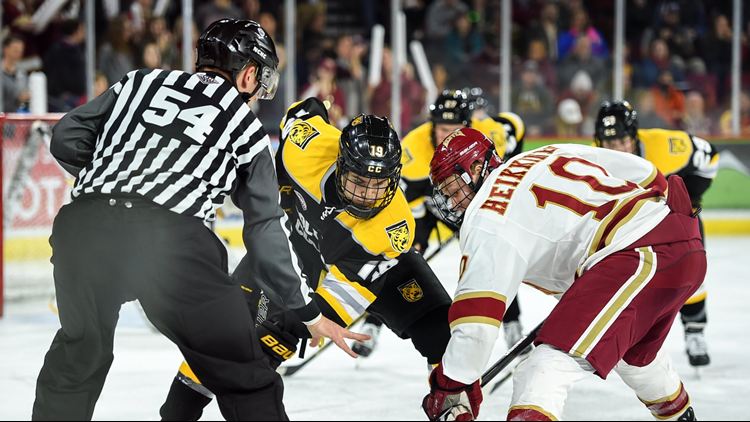 The Denver Pioneers men's hockey team is off to a solid 3-0-1 start and looks to keep the momentum going this weekend against Western Michigan. The puck drops between the Pios and Broncos at 7:07 p.m. on Friday and Saturday at Magness Arena. You can get your tickets at DenverPioneers.com. 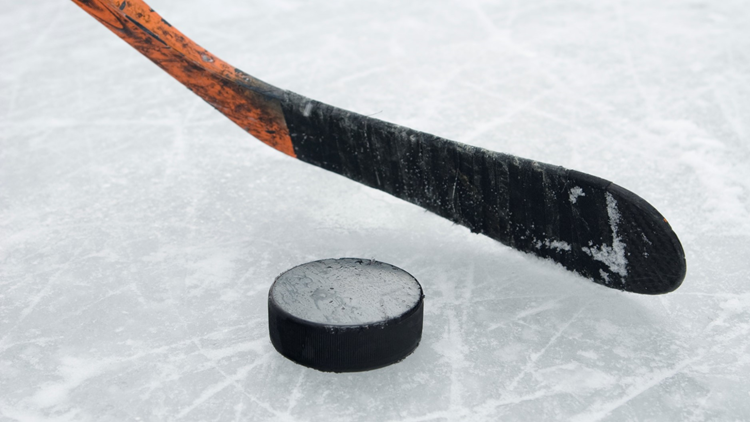 The Colorado College men's hockey team is back in action this weekend at the Broadmoor World Arena in Colorado Springs. The Tigers will face the St. Cloud State Huskies at 7:30 p.m. Friday and 6 p.m. Saturday. Tickets for the series can be found at AXS.com. The Denver Pancakes & Booze Art Show is a pop-up art show with more than 300 pieces of artwork created by over 80 artists local to Denver. 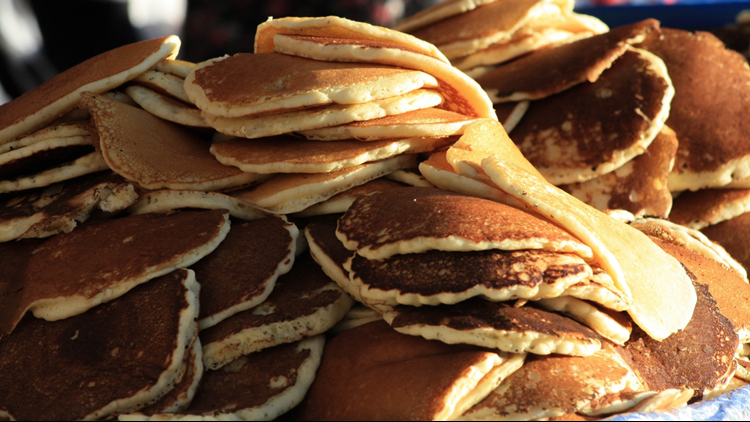 The show also offers a free pancake bar, craft beer, signature cocktails, live art, live DJ sets and live body painting. The 21 and older show takes place Saturday at EXDO Event Center starting at 8 p.m. Tickets can be purchased online. 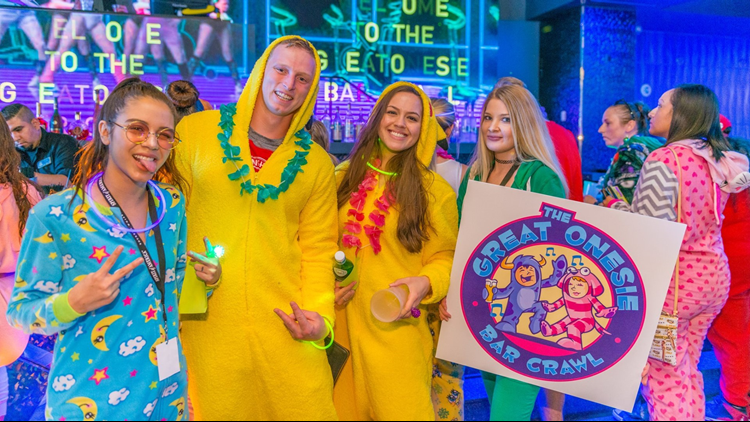 The Great Onesie Bar Crawl is a "ridiculously comfortable crawl" where hundreds of onesie-clad crawlers enjoy exclusive specials and surprises at local venues. The Great Onesie Bar Crawl begins in Denver at 3 p.m. Saturday at The Gin Mill on Larimer St. Other bars on the lineup include Larimer Beer Hall, Refinery, Sidecar, Retro Room, Howl at the Moon, Giggling Grizzly and Jackson's. If you've outgrown your onesie, you can grab a new one and tickets at GreatOnesie.com. A cappella group Straight No Chaser will perform two shows in Colorado this weekend. 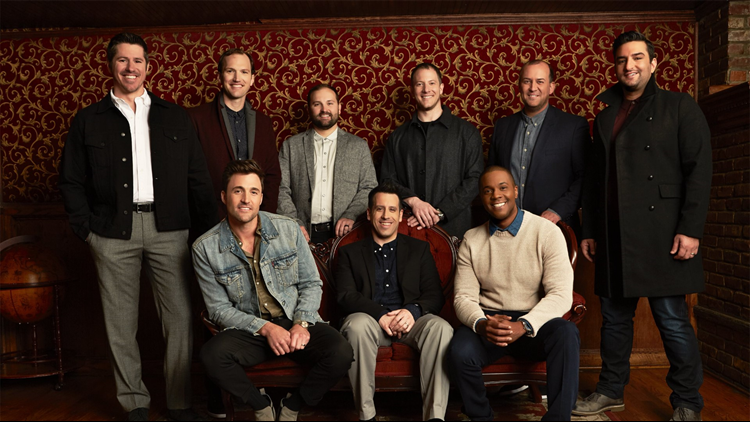 Known for their captivating sound of nine voices coming together to make fantastic music, Straight No Chaser has appeared in countless national TV programs. The group will stop at Denver's Paramount Theatre on Friday and Union Colony Civic Center on Sunday. Halloween may be over but you still have one last weekend to see over 3,000 hand-carved jack-o'-lanterns at the the Adams County Fair and Regional Park Complex. Denver is one of just four cities in the country that will get to experience Pumpkin Nights this autumn. 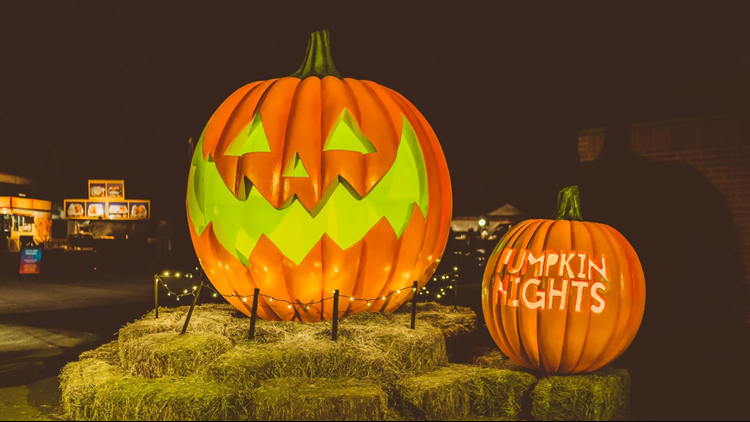 Pumpkin Nights, which is open from 5:30 p.m. to 10:30 p.m. through Sunday, also has food trucks, hot chocolate and adult beverages. General admission tickets cost $20 and can be purchased here. 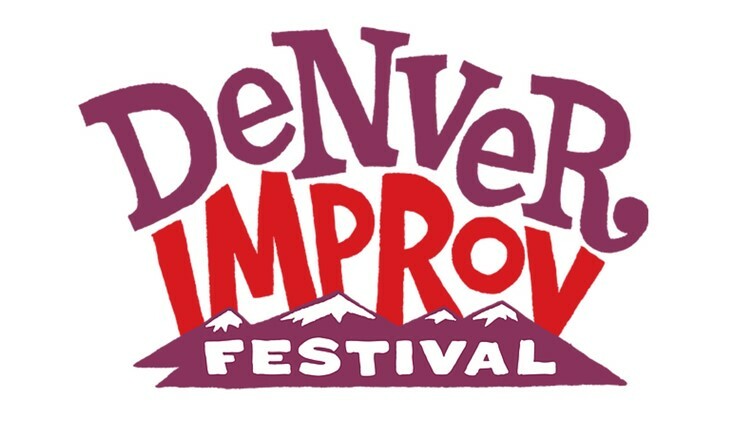 The 2018 Denver Improv Festival opens Thursday in downtown Denver. The festival features the top improv performers from across Colorado and teams from all over the country. Shows will take place through Saturday at The Bovine Metropolis Theater, Grafenberg Theater, Voodoo Comedy Playhouse, and The Avenue. For tickets and a full festival lineup, visit DenverImprovFestival.com. The 14th Annual Denver International Wine Festival runs Thursday to Saturday. 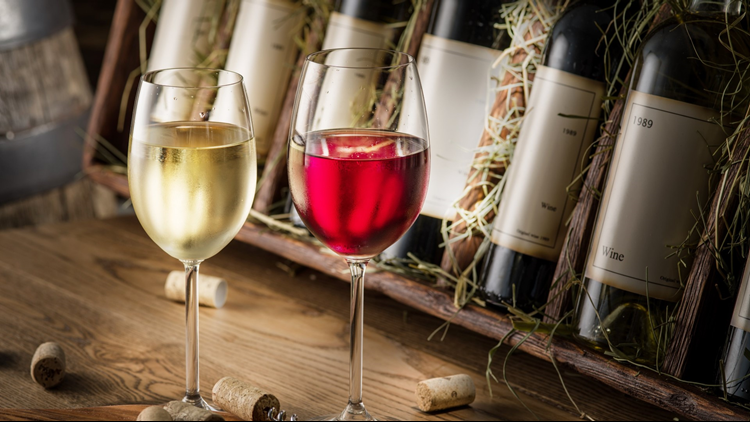 The festival kicks off with the Pairsine Chefs Food & Wine Pairing Competition on Thursday followed by the Grand Tasting of International Wines on Friday, both at the Denver Marriott Westminster. The Julie and Julia Champagne Tribute Luncheon concludes the festival Saturday at the Omni Interlocken Hotel in Broomfield. Tickets are available at DenverWineFest.com. One of the most scenic races in the world returns this Saturday in Fruita. 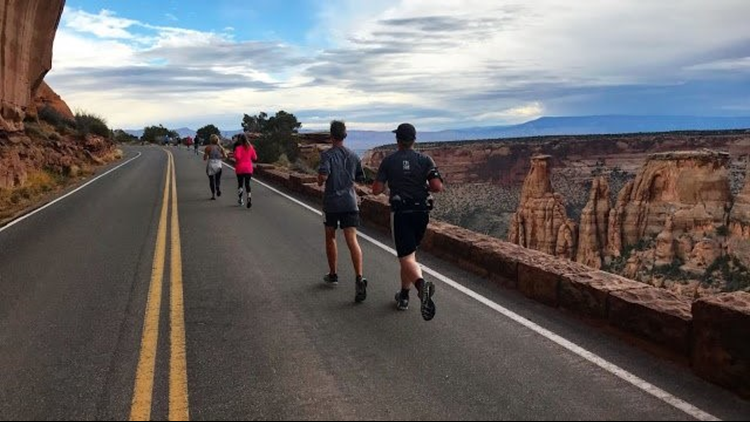 The Rim Rock Run meanders through the towering monoliths, vast plateaus and canyon panoramas of Colorado National Monument before finishing at Fruita's Circle Park with a celebration that includes live entertainment, local food and a beer garden. 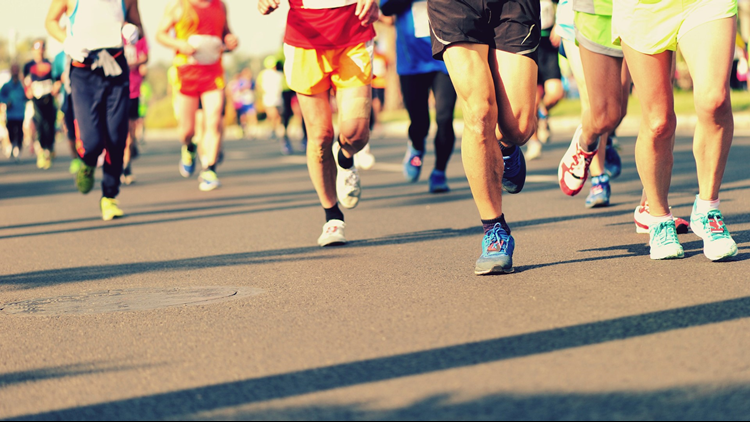 The Rim Rock Run offers a marathon, marathon relay and half marathon. Race registration can be completed at RimRockMarathon.com. The Denver Art Museum at Civic Center Park is one of the largest and most important art museums between Chicago and the West Coast with a wide range of holdings. Free days are held the first Saturday of every month and children 18 and under receive free admission year-round. 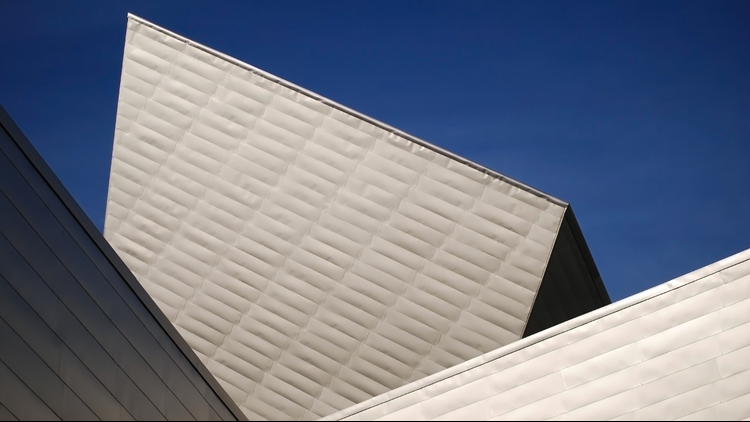 The Denver Art Museum will be open this Saturday from 10 a.m. to 5 p.m. This event was first published by MileHighOnTheCheap.com. For more local deals and discounts go to MileHighOnTheCheap.com. 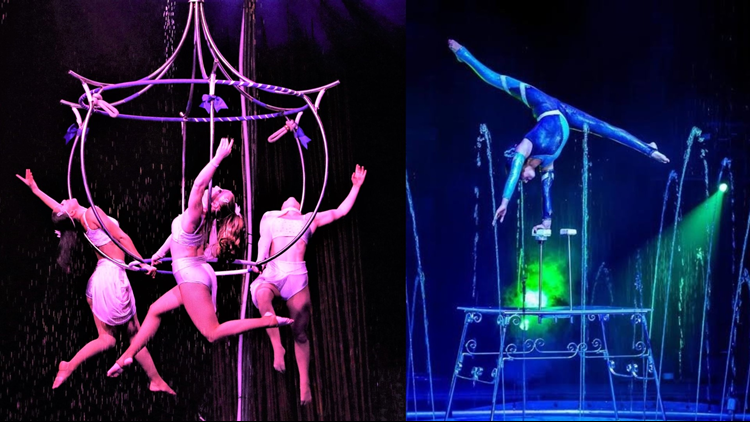 Cirque Italia, the first traveling Italian Water Circus, will be performing this weekend in Broomfield. The show begins Thursday evening with eight performances through Sunday. Cirque Italia's Big Top will be set up at Flatirons Mall. For tickets, head to CirqueItalia.com. 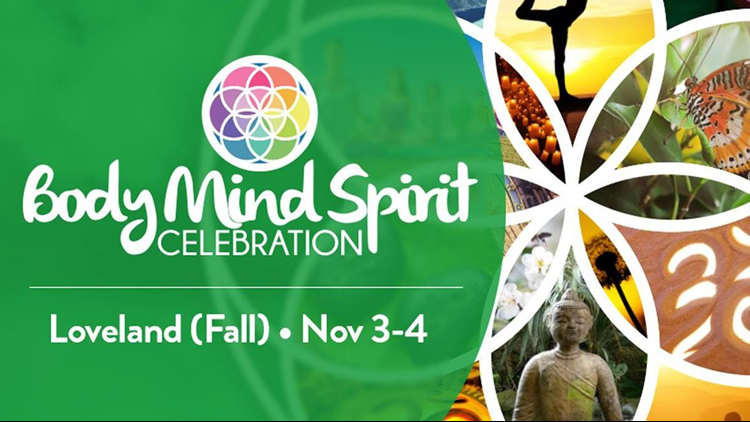 From ancient healing traditions to new age technology in the holistic and metaphysical field, the Body Mind Spirit Celebration features a collection of over 70 professional readers, healers and exhibitors. This weekend's expo will be held at The Ranch Events Complex's North Hall. Admission tickets are $7 at the door and children 9 and under are free. To see a lineup of speakers, visit BMSE.net. 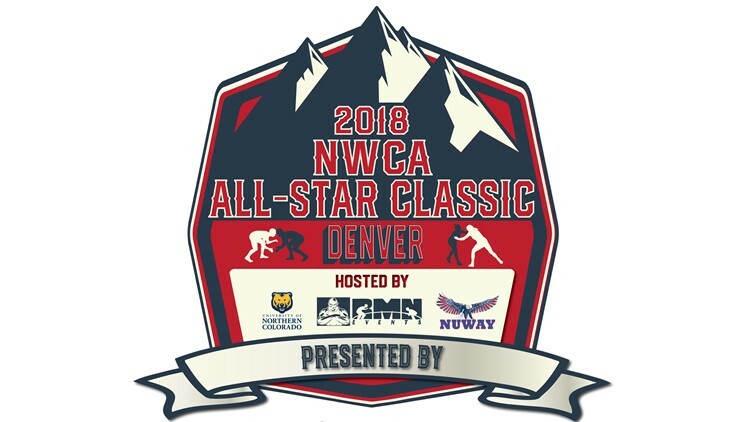 Collegiate wrestling’s finest wrestlers will be in Denver on Friday for the National Wrestling Coaches Association’s 53rd Annual All-Star Classic. The event is a showcase of top-tier men’s and women’s collegiate wrestlers in a dual meet format. Many of Friday's matchups could be a prelude to the national championship finals at the end of the year. The All-Star Classic will be held at the National Western Complex. Tickets are available online. Fort Collins "flips the switch" at the annual Downtown Holiday Lighting Ceremony. Thousands of brilliant white lights will illuminate the alleyways, sidewalks and tree-tops of seven blocks of Historic Old Town Fort Collins after Friday's ceremony. 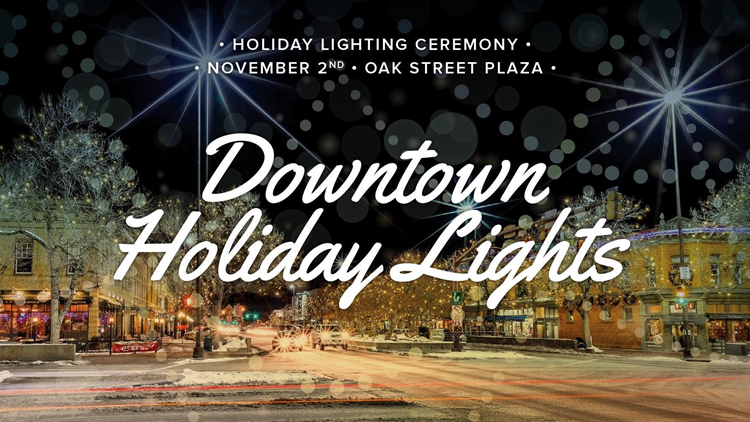 The Downtown Holiday Lighting Ceremony, in the Oak Street Plaza at the corner of College Ave. and Oak St., begins at 5:30 p.m. with the dramatic countdown at 6:30 p.m. Historic Old Town Fort Collins will remain lit through Valentine's Day. The 15th Annual Colorado Country Christmas Gift Show runs Friday to Sunday at the Denver Mart. 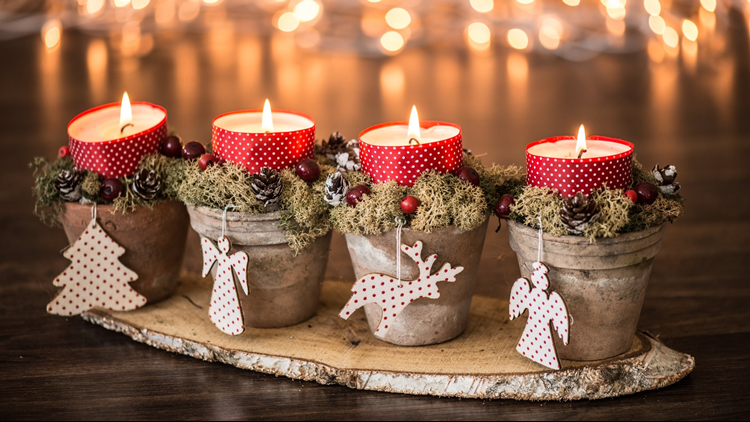 The show is a holiday shopping extravaganza with 450 displays of original art, crafts, sculptures, ceramics, specialty foods, home décor, clothing, furniture, floral designs, jewelry, antiques, candles, toys and more. Colorado chefs will be sharing holiday cooking tips and techniques in live demonstrations. If you're in need of a nice Christmas card photo, Santa Claus might also make an appearance this weekend. 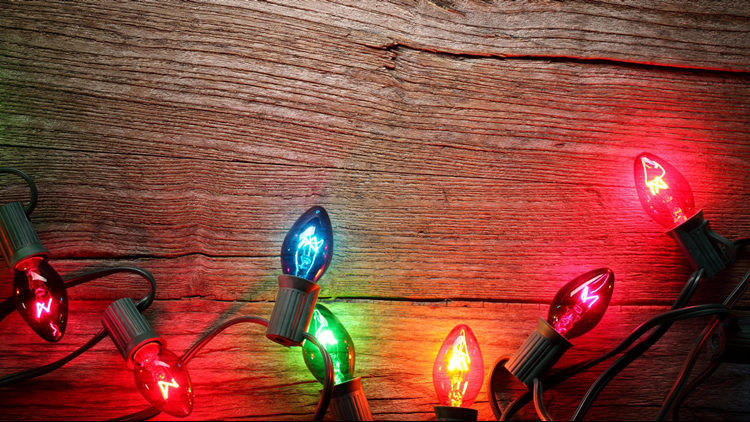 Avoid the lines and get your Colorado Country Christmas Gift Show tickets online. Over 150 vendors, selling unique and handmade craft items, will be at the Douglas County Events Center at the Fairgrounds on Saturday. 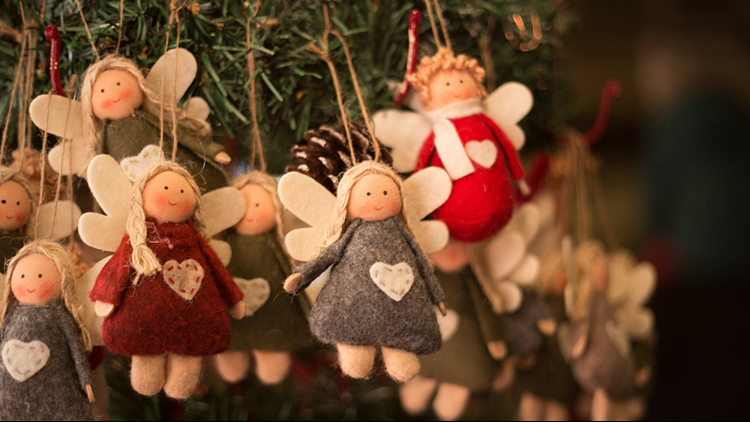 The 26th Annual Castle Rock Craft Show Extraordinaire also offers door prizes, silent auction, wreath auction and more. Start attacking your Christmas shopping list from 9 a.m. to 4 p.m. in Castle Rock. The Craft Show Extraordinaire also benefits senior citizens through the Castle Rock Senior Activity Center. The El Paso County Fairgrounds is site of Saturday's 2nd Annual Holiday Craft & Vendor Fair. 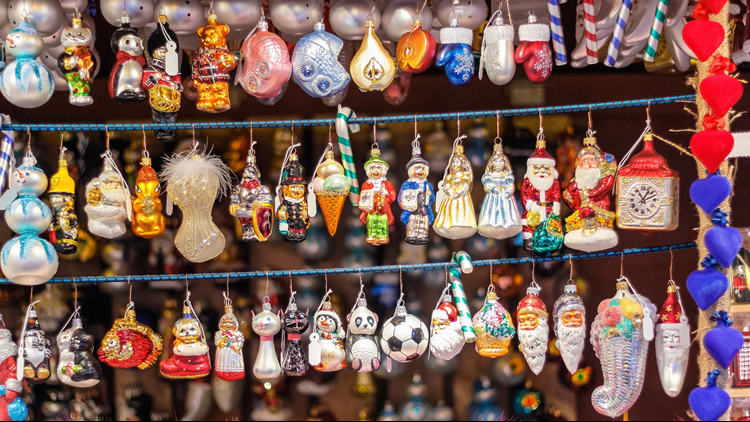 Get a start on your holiday shopping with more than 50 craft and artisan vendors. Rumor has it Kris Kringle will make an appearance at 1 p.m. The 29th Annual Holiday Bazaar is back at the Colorado State Fairgrounds in Pueblo this weekend. The fairgrounds' Palace of Agriculture will have over 150 vendors selling unique holiday gifts and gear. 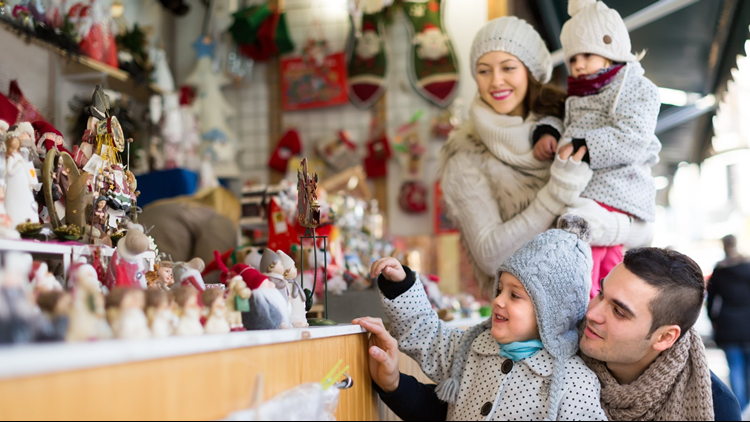 Admission to the Holiday Bazaar, which runs Saturday and Sunday, is free and parking is free. Now in its 35th year, the Smoky Hill High School Craft Fair has 211 vendors offering unique decorations, clothing, jewelry and holiday gifts. Admission and parking are free and food will be available. The craft fair runs 9 a.m. to 4 p.m. Saturday. Do you know of a fun Colorado festival, fair, expo, concert or event you think we ought to mention in this week's 9Things or in the future? Send it to alexander.kirk@9news.com.